Breakfast and Lunch are served from 7am to 10pm every day. Served with green salad or french fries. 1/2 lb. fresh ground beef, charbroiled to order. Served with lettuce, tomato, onion, pickle and your choice of American, Cheddar, Swiss or Pepperjack Cheese. 1/2 lb. fresh ground beef, charbroiled to order. Served with lettuce, tomato, onion, pickle. 1/2 lb. fresh ground beef, charbroiled to order. Served with lettuce, tomato, onion, pickle and hot jalapeño cheese topping. 1/2 lb. fresh ground beef, charbroiled to order. Served with Swiss cheese and mushrooms. 1/2 lb. fresh ground beef, charbroiled to order. Served with grilled onions and your choice of American, Cheddar, Swiss Pepperjack Cheese. Tender breast of chicken, marinated in wine, garlic and spices. Charbroiled and served with lettuce and tomato. Classic roast beef sandwich, served with homemade Au Jus and french fries. Grilled chicken breast served atop a mixed green salad. Grilled chicken breast, served atop a mixed green salad. Your choice of white, wheat or sourdough bread. Roast turkey breast on grilled sourdough, served with Swiss cheese, bacon and tomato. Triple decker with turkey, bacon and lettuce. A summertime favorite! Bacon, lettuce and tomato. Lean top round roast beef with lettuce and tomato. Roast turkey breast with lettuce and tomato. Turkey salad with lettuce and tomato. Ham with lettuce, tomato and your choice of American, Cheddar, Swiss or Pepperjack cheese. Served hot or cold. Sliced thin and marinated in garlic. Served with salad and fries. Triple decker turkey, ham, Swiss & American cheese. Changing the beers when we feel like it! For a bloody mary that is made from scratch with the best ingredients there is no better bar in Sacramento. This bloody mary is a perfect hangover cure or side for breakfast. 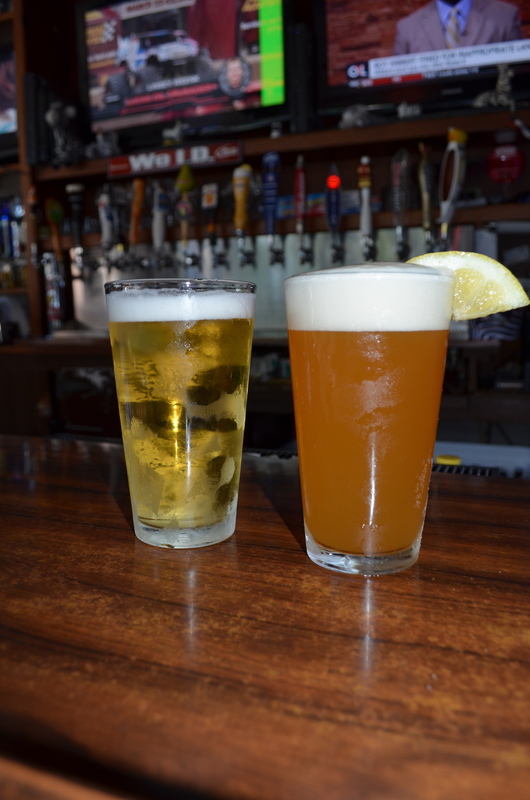 The Zebra Club has a huge selection of beers, with over 19 ice cold beers on tap. Every hour is happy hour at this Midtown bar with great prices all day.